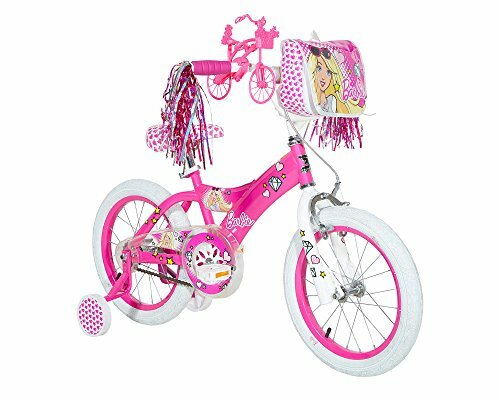 Lead with style on this beautiful 16" Barbie bike! The vibrant pink frame and custom jewel and heart Barbie graphics that totally make this bike stand out. This 16" girls' bike features a stylish removable Barbie handlebar bag, colorful streamers and a "Ride with Me" Barbie minibike. Girls can feel confident riding this unique bike with the adjustable training wheels, rear coaster brake and front caliper brake. Your little one will love riding this bike with her fab friends! Dynacraft offers you a simple and efficient way to register your ride.